Eschenbach club W sophisticated elegance with uncompromising optical quality, easy on the eye and designed with women in mind. 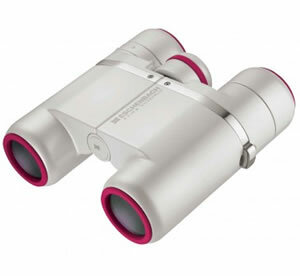 These stylish binoculars wont look out of place at Ascot, Wimbledon or out on a country walk. Housed in the stunning mother-of-pearl effect body are state of the art optics guaranteed to please the most discerning user. Supplied with a stylish carrying case, padded strap and draw string pouch for protection when carried in a hand bag.